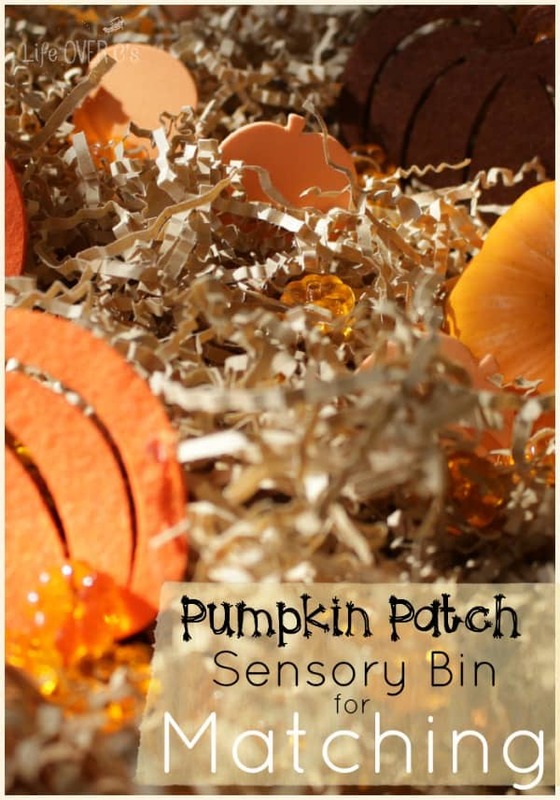 I am super excited to share with you the pumpkin patch sensory bin that we did for today’s #PlayfulPreschool series. The Playful Preschool team is covering the harvest today. We’ve got posts with math, literacy, pre-writing, science, sensory and much more. Be sure to check out all the great posts by clicking the links at the bottom of this post. As is our norm, our activity is one part sensory engaging and one part skill building. My daughter loves to explore the textures and details of sensory bins and her attentiveness to the sensory bin helps me to have a few moments to work on specific skills with her. Usually it’s very hard to get her to sit still for more than 30 seconds at a time, but when I pull out a new sensory bin, she becomes completely engaged and will sit for a much longer period of time. Today, I was excited to get a full 20 minutes of working with her before she was tired of the activity. Can I just say that I am thrilled to have access to craft stores again!?!?! It’s like Christmas morning every time I walk into one and see all the possibilities for creating themed activities for the kids. And at the farmer’s market last week I picked up some super cute little orange and white pumpkins for $0.50 each. I combined them all into our sensory box. I really wanted to work with her on recognizing things that match, similar to the farm activity that we worked on last week. So this week I was very particular about including sets of two in the box. Two orange mini-pumpkins, two white mini-pumpkins, two of each color of felt pumpkins and a good scattering of both the foam pumpkins and the table top pumpkins. 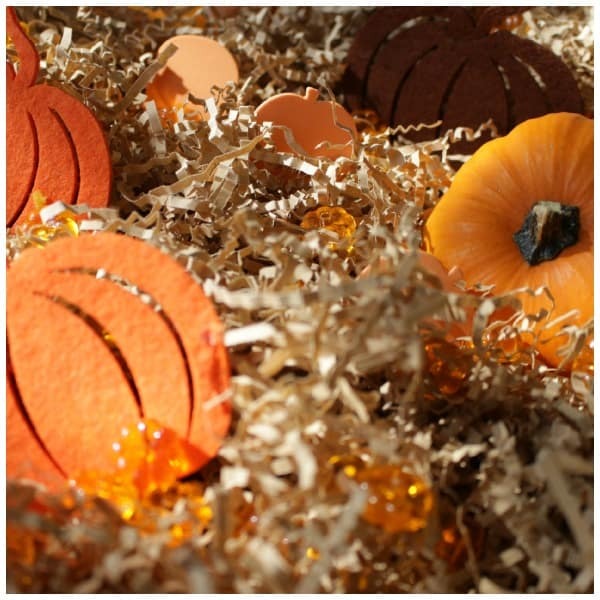 I was thrilled to see the way the fall sun bounced all over the box, casting light and shadows, sparkles on the table scatter pumpkins and creating a beautifully rich feeling of texture beyond even what the materials themselves provided. Shiloh’s face was so excited as she began to explore the contents of her personal pumpkin patch. 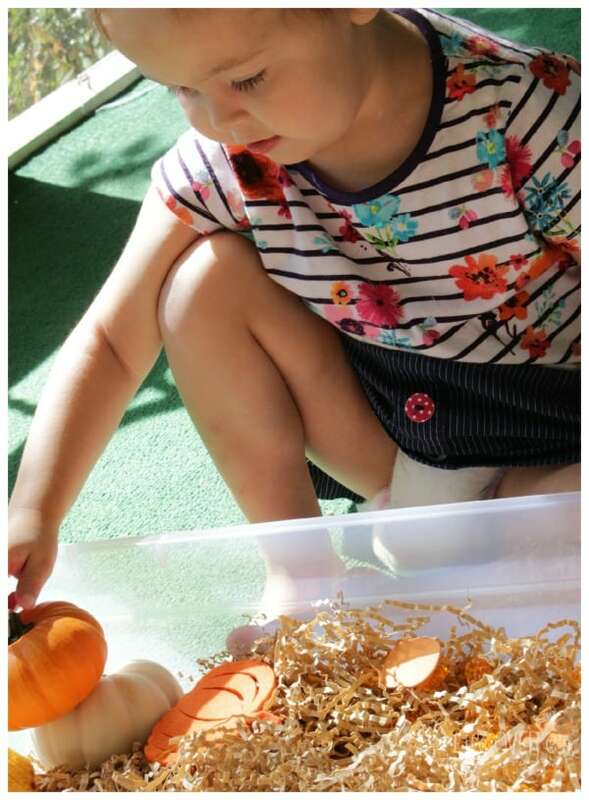 She worked on fine-motor skills as she grasped the tiny plastic pumpkins and the foam stickers. I allowed her to lead as she picked up one of the small foam pumpkins, I mimicked her and also picked up a foam pumpkin. I told her that the pumpkins matched and repeated it several times as she looked them over. She also wanted the pumpkins to introduce themselves to each other, so she initiated some role play. She had them hug and even gave my pumpkin a ‘kiss’ from her pumpkin. We worked our way around the bin as she would pick up a pumpkin and I would pick up one that matched. Then I let her work independently for a while and it was so fun to watch her pick up two pumpkins that didn’t match and analyze them. Then, she took those pumpkins and worked on her stacking skills. After that she moved on to exploring the fun texture of the crinkled paper. She manipulated it in her hands for a while. She held it up to inspect it. Then she decided to decorate my toes with it. And then she wanted it tied onto her feet and legs and I knew that our matching session was done…lol! Because Shiloh has special needs, your child may be past this skill level, however, feel free to take the idea and make it your own! As I was playing with her, I thought of several ways to expand this matching activity for a more advanced child. On the foam pumpkins, write uppercase and lowercase letters and have your child search for the matches. Hide sight words written on pumpkin cut-outs in the bin and find the matches. Put a toy in the sensory bin that does not coordinate with the theme, such as an apple and have your child find it and explain why it doesn’t belong in the bin. Use the crinkle paper to measure the different pumpkins and discover which on is the largest, the smallest, and if any of them are the same size as an introduction to non-standard measurement. I hope that you will enjoy your own pumpkin patch sensory bin very soon! 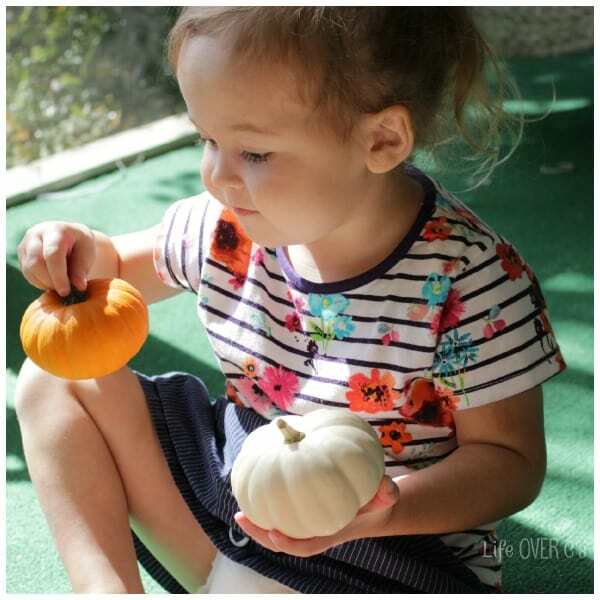 Be sure to visit the other great posts for learning with a harvest theme from the rest of the #PlayfulPreschool team! That sensory bin looks like so much fun. Our preschooler would love to dig in and explore. I like your idea of the upper and lowercase letter match using the foam pumpkins. That would be a fun challenge. I’d love to hear about it if you decide to make your own pumpkin patch! You can share pictures on my FB page! It looks very good! I love that there are so many learning activities you can do with the one bin. Absolutely! We use our sensory bins for a week at a time usually and do different activities each time. That would be a great extension idea! We just bought some mini pumpkins so we will be trying this! Great simple idea for a preschool sensory bin! 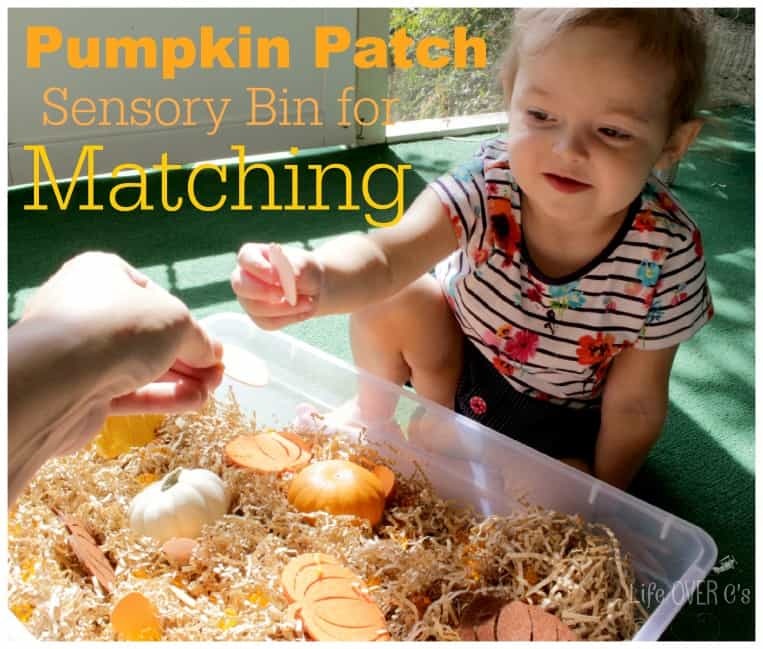 Matching is such a perfect activity for sensory play! Thanks! We had a lot of fun with it! This looks so inviting! Beautiful photos! I want to play, too! 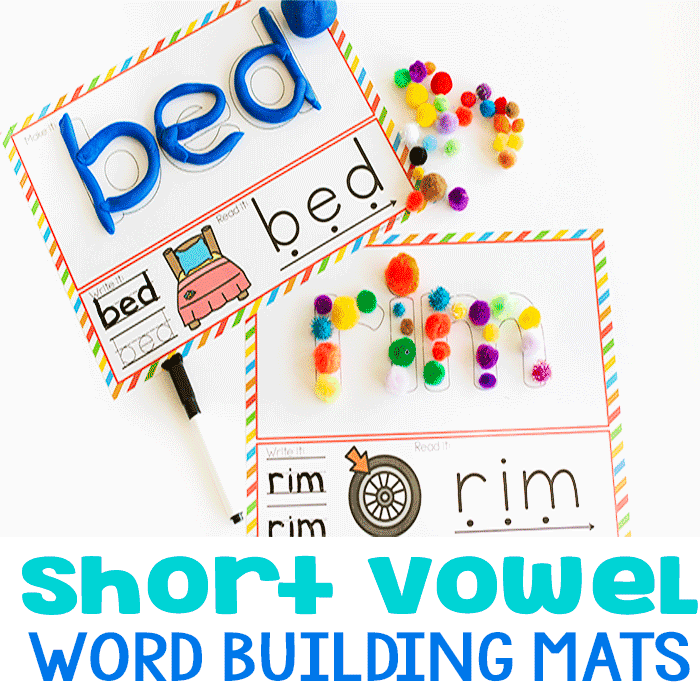 What a great way to incorporate sensory play with a matching activity! 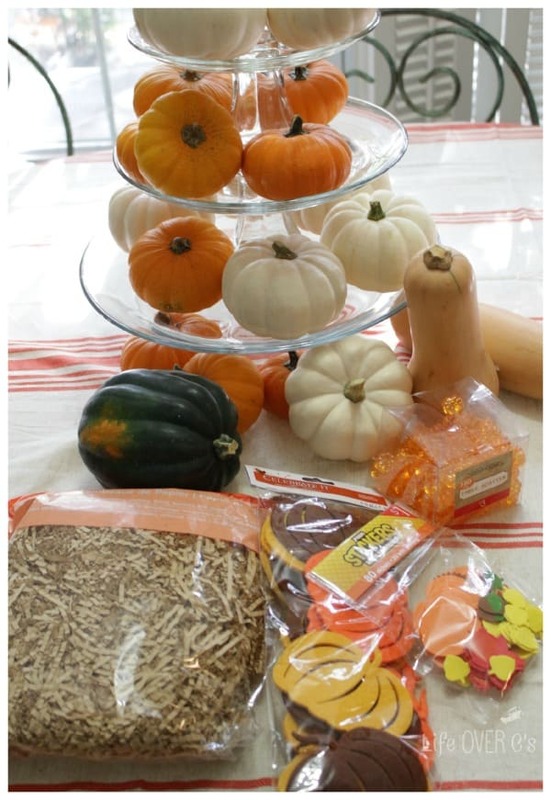 This is an adorable pumpkin bin that screams, “COME PLAY!”:) Nice post for the harvest theme! TY! I love sensory bins and how they are something like open end learning. 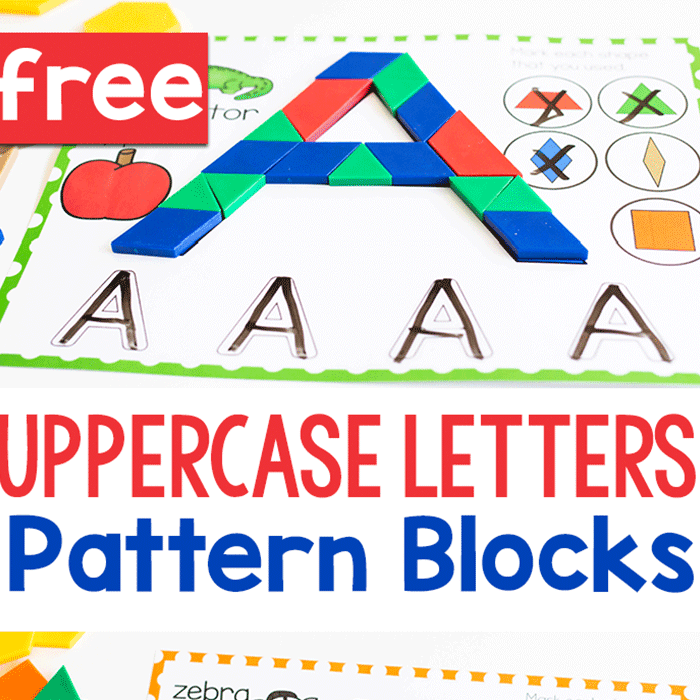 You can take them to so many different levels and adapt them for each child all within the same bin. Great sensory bin and I don’t know what I would do without my craft stores. 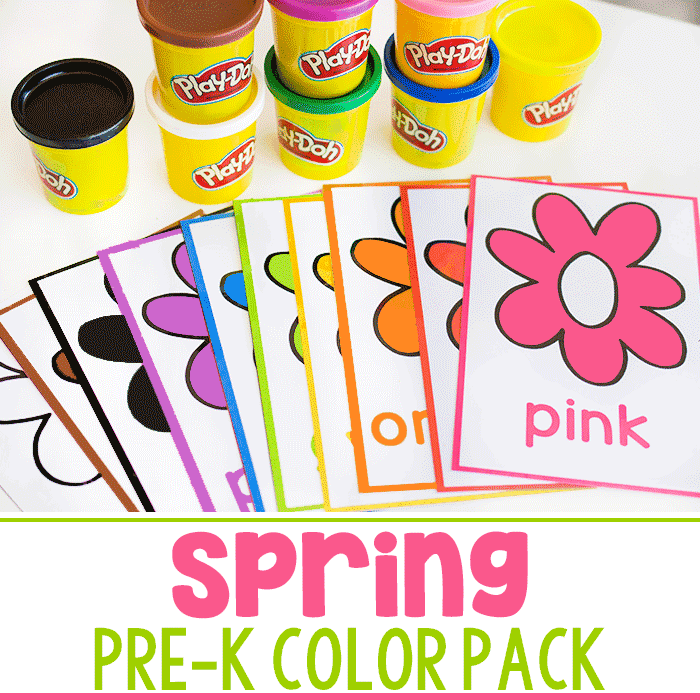 The table scatter is perfect for fine-motor and it’s so pretty in the sunlight! Oh my cuteness! This would be so cute in my speech therapy sessions! I’m sure it would be great! We work a lot on language skills with my three-year old and she really opens up when she’s using a sensory bin!